Today I launched the start of my new interview show titled: Dr. Will. What makes this show different from my past shows is that viewers will get me unfiltered and free from my @peoplegogy brand. This show is about me "hanging out" with educators I admire. Tune in every week for a new episode. My first guest was Dana Ariss, an innovative, connected educator from Alberta, Canada. I connected with Dana on Twitter, and wanted her to be my first guest, because she is so enthusiastic and doing some amazing things with her students. Please check out her blog and give her a shout on Twitter. I am striving to be a connected educator myself. I started a professional twitter account and I am learning how to utilize blogs for future classroom use. This was a very informative episode and I look forward to the next one. 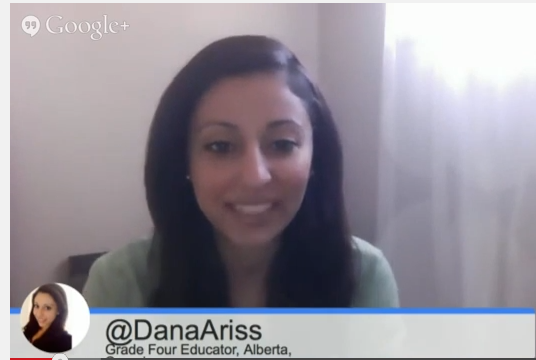 I also look forward to adding Dana Ariss to my twitter PLN. My name is Lauren Reid and I am an Elementary Education Major at the University of South Alabama. I am new to the blogger community and I definitely want to start a class blog for my future classroom; I am looking to be a connected educator. This video was very informative and I look forward to your next one.